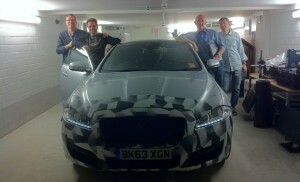 Intel engineers (L-R) Kevin Murphy, Rolland Pieper, Marco Demezzi, and Ralph Wittmann inside the underground garage with a pre-production Jaguar XJ. 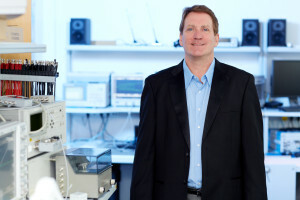 Kevin Murphy is the engineering director and site manager at Intel’s Automotive Center. 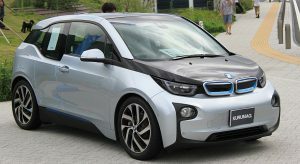 The BMW i3 electric vehicle utilizes an Intel processor and is manufactured in Leipzig, about 320 miles from the Intel Automotive Center in Karlsruhe. A reference design that contains the processor and memory required to run the in-vehicle infotainment (IVI) in a car. 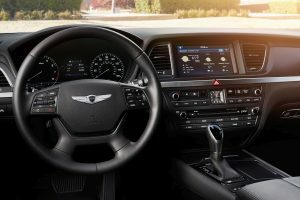 It’s the first system built with Ethernet audio and video bridging (AVB), replacing a glut of wires with a single cable to each display in the car. 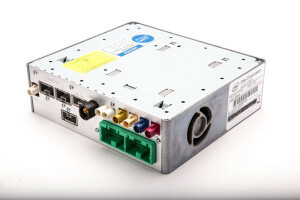 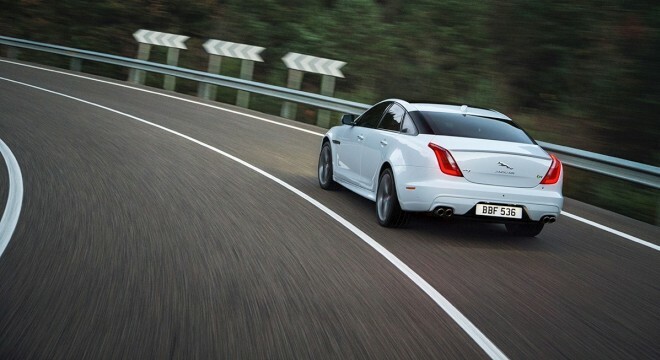 It can also receive input data from devices such as cameras. 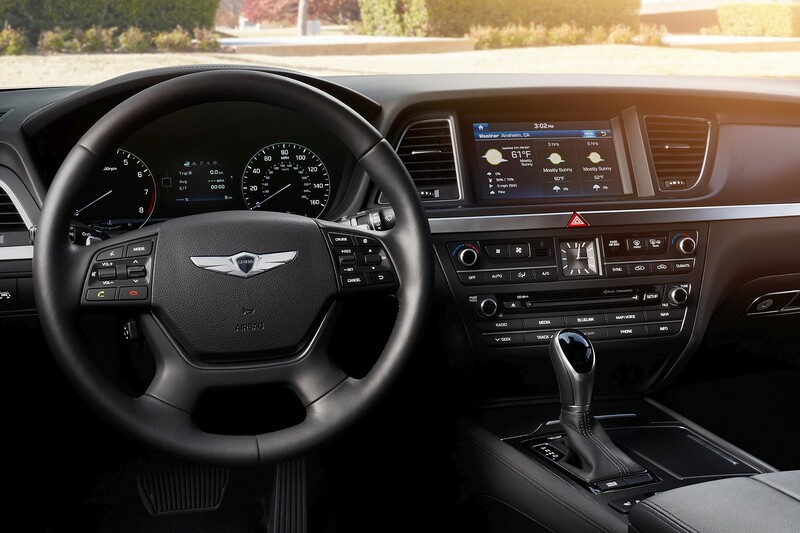 The 2015 Hyundai Genesis packs a 1.3GHz Intel Atom E660 with GMA 600 graphics and a 64GB SSD to run its in-vehicle infotainment (IVI) system.